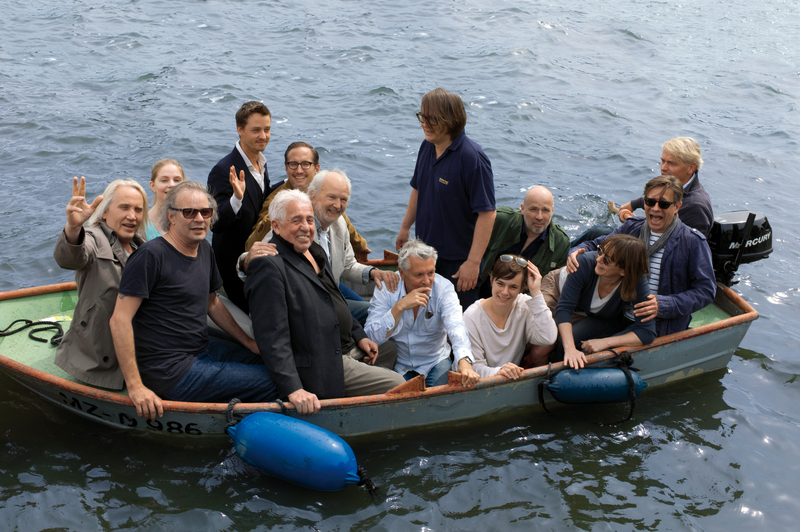 You probably couldn’t get anything more different than this autumn’s highly anticipated CLOUD ATLAS, but that film’s producer Stefan Arndt is looking to shake the German film world up again in 2013 with the low-budget comedy HAI-ALARM AM MÜGGELSEE co-directed by Leander Haußmann and Sven Regener. Haußmann and Regener had previously worked together on the film adaptation of Regener’s 2001 novel Herr Lehmann. In the new collaboration, the directorial duo co-wrote the screenplay, served as co-producers and wrote the film score as well as appearing on screen in roles as diverse as guitar-plucking policemen, punk rockers, and municipal divers.